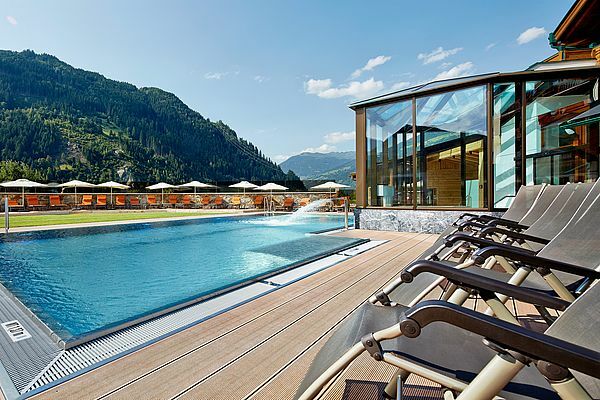 Dive into the Sonnenhof pools and enjoy the feeling of being weightless! 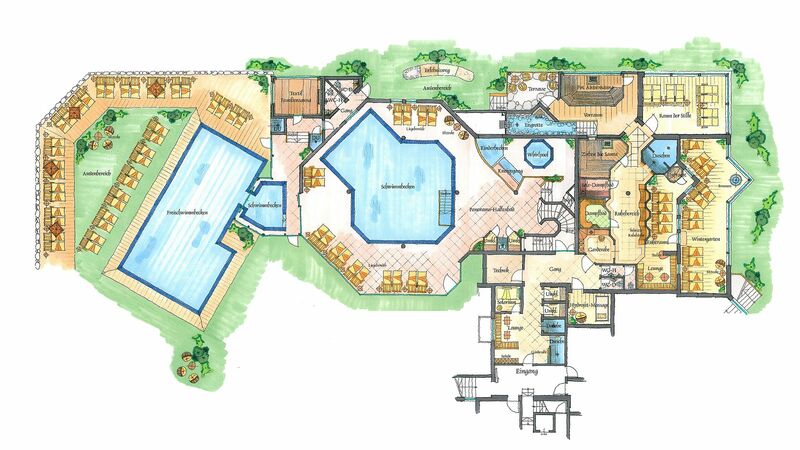 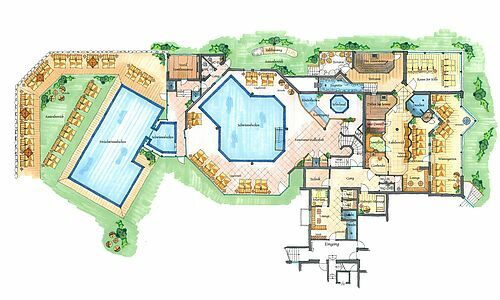 The 14 m x 7 m heated outdoor pool with indoor access, loungers, bench with massage jets, and waterfall promises a refreshing experience in any season. 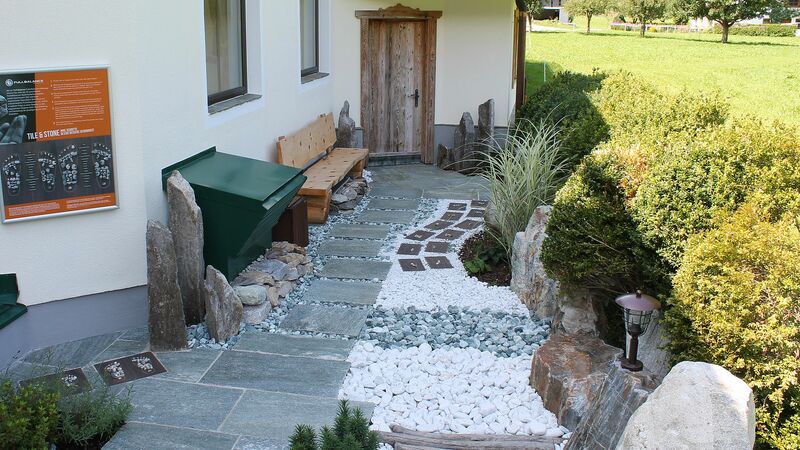 The surrounding garden with wonderful lounge chairs invites you to enjoy the magnificent sunshine and simply kick back and unwind! 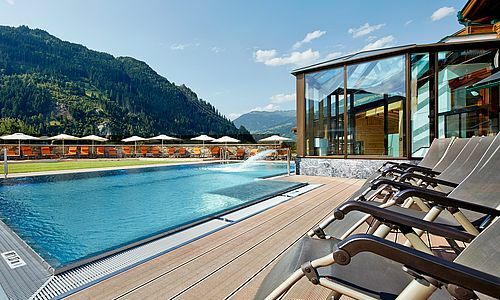 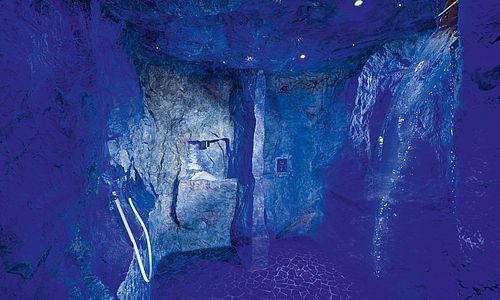 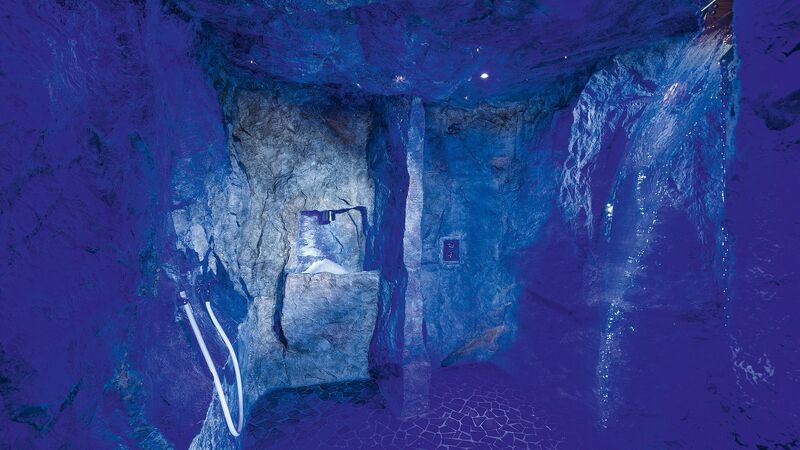 In the 9 m x 11 m panoramic indoor pool, you can swim with a view of the impressive mountain scenery, and the bubbling hot tub and kid’s pool promise unlimited fun in the water. 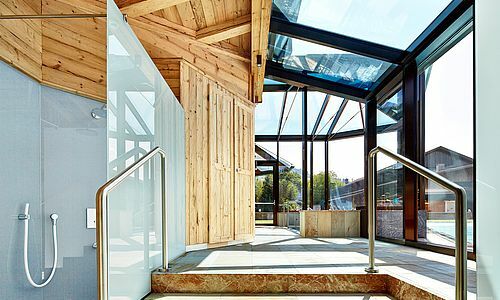 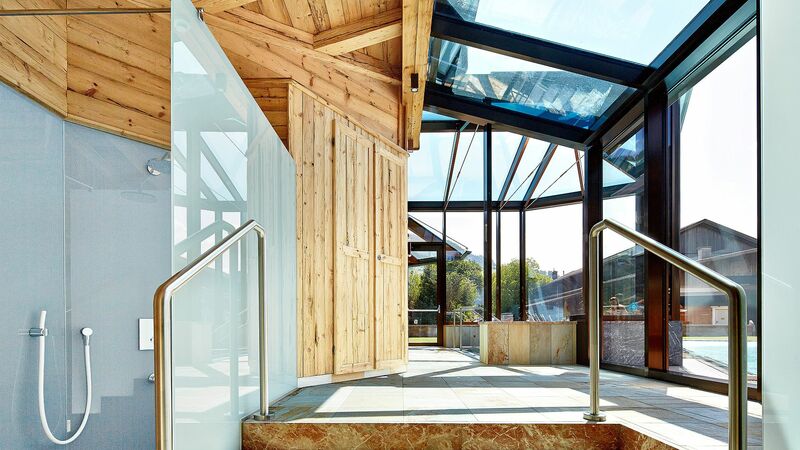 Ferienhotel Sonnenhof protects our climate und was awarded for the project “heat recycling in the pool”. 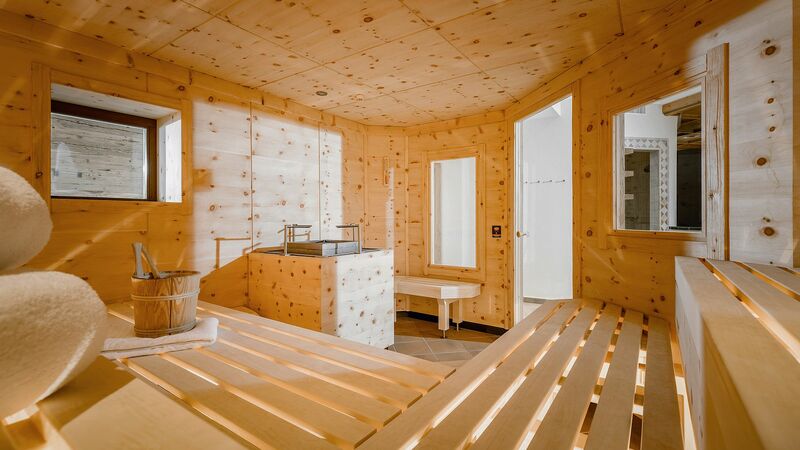 After an exciting vacation day, relax every muscle in your body in our inviting sauna area and strengthen your immune system in the process! 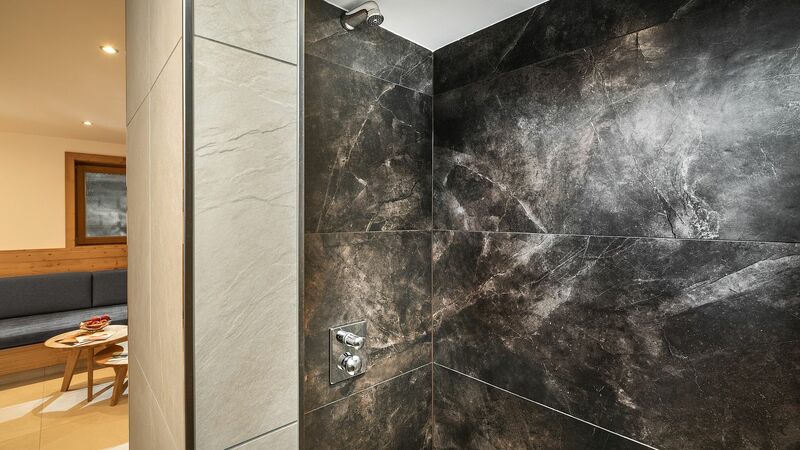 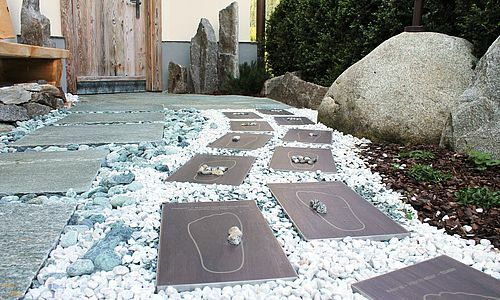 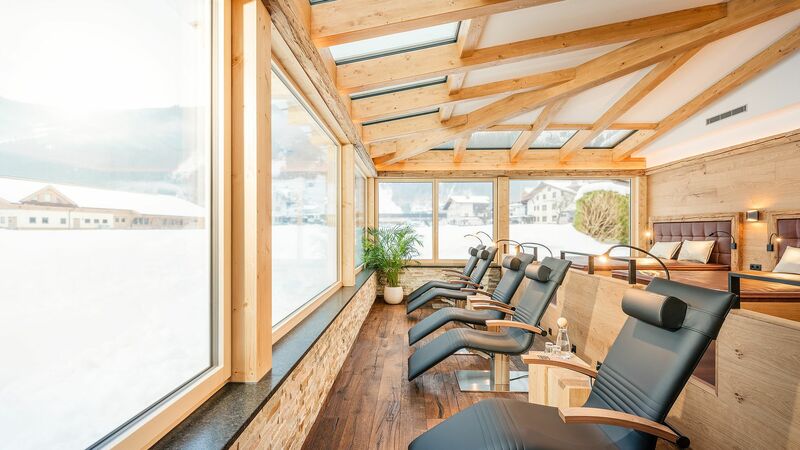 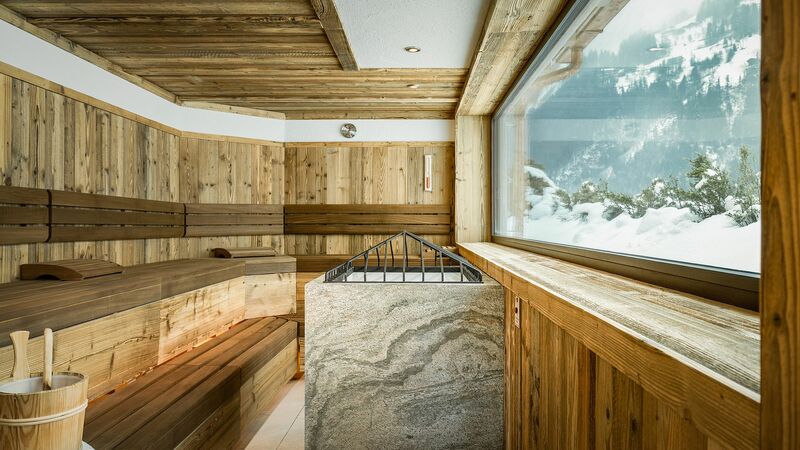 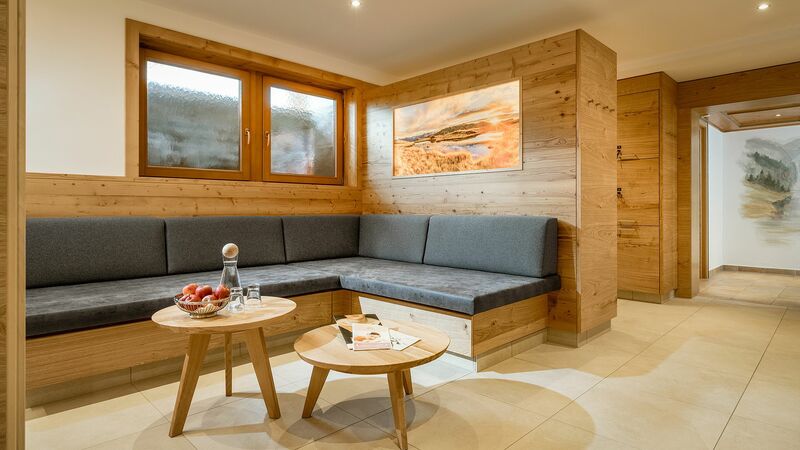 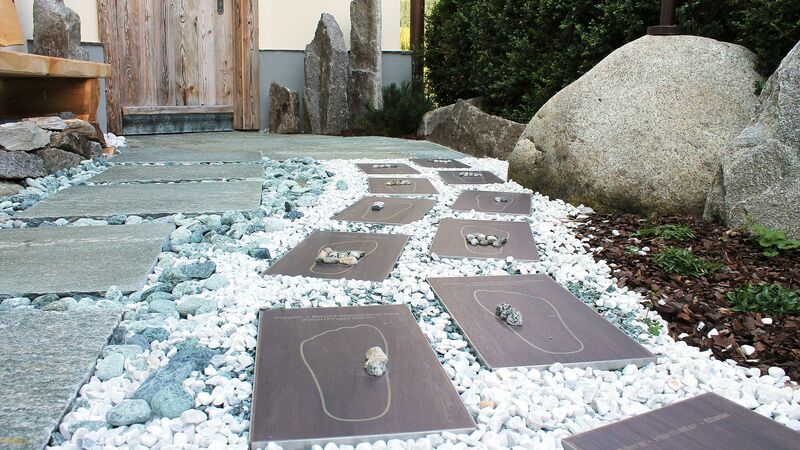 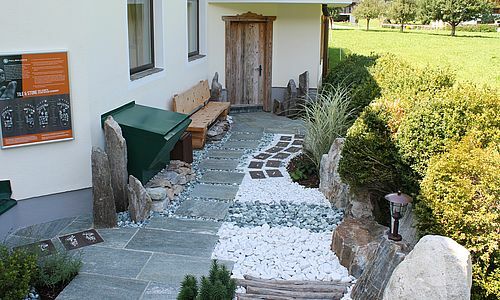 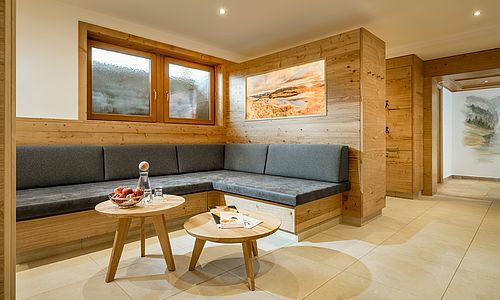 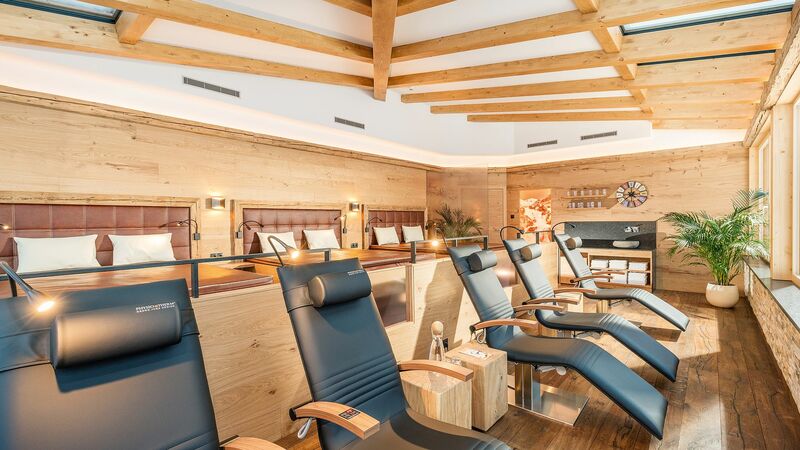 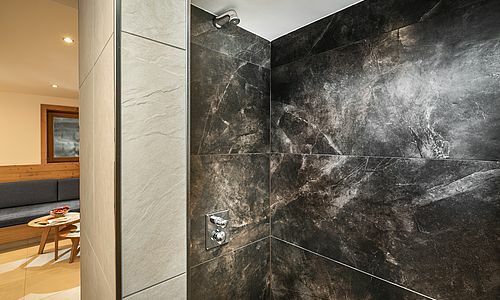 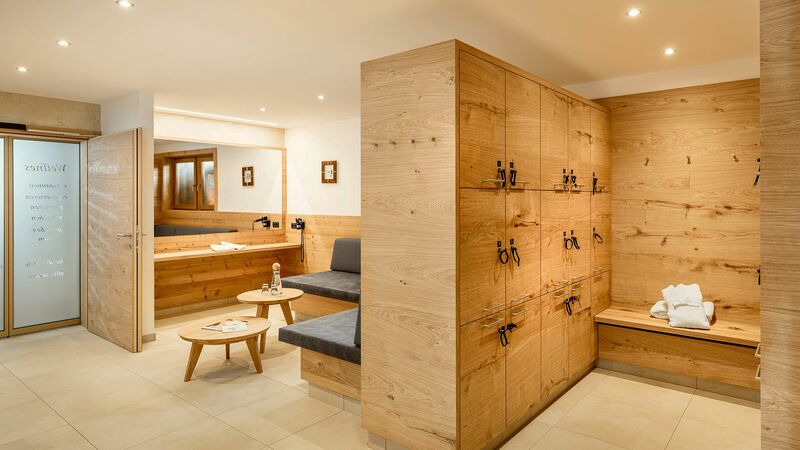 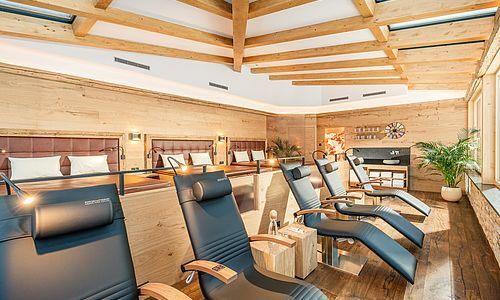 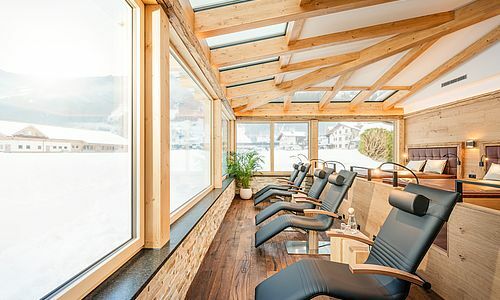 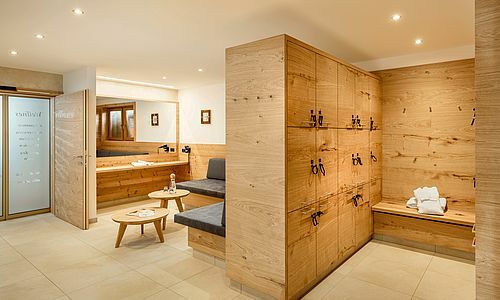 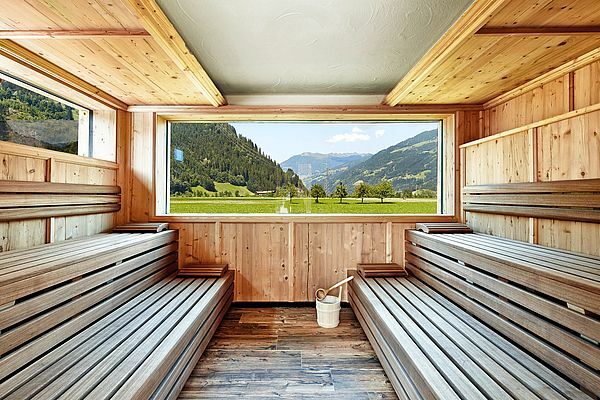 You can then enjoy a peaceful time-out with a wonderful view of the Zillertal mountains in the new “relaxation room of quietness” with heated loungers and waterbeds.